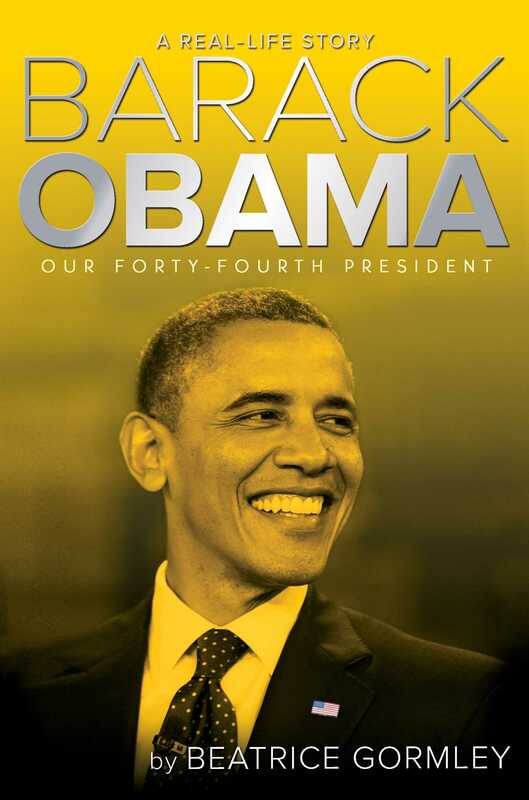 Learn all about the life of the 44th President of the United States in this updated biography of Barack Obama, specially written for a younger audience. University Professor. Nobel Peace Prize Winner. First African American President of the United States. President Obama was born on August 4, 1961, in Honolulu, Hawaii. With relatives in Kenya, Ireland, Indonesia, and Kansas, President Obama has referred to his family as “a mini–United Nations.” He attended college on both coasts, first at Occidental in California, then at Columbia in New York City. After graduating from Harvard Law School, he practiced and taught law in Chicago. In 2005 Barack started his political career when he became the senator for Illinois. President Obama was inaugurated on January 20, 2009. His many efforts in the first 100 days of his presidency earned him a Nobel Peace Prize and, in 2012, he was reelected for a second term. Originally published in 2012, this revised biography of the 44th President of the United States includes eight pages of photos as well as a timeline and index. Barack Obama CHAPTER 1 BARACK OBAMA JR.
Barack Obama Sr. was a foreign exchange student from Kenya, a country in east-central Africa. He was twenty-five years old, studying on a scholarship at the University of Hawaii. He was the very first African student at the school. Barack was tall and charming, with a voice “like black velvet,” as his mother-in-law Madelyn Dunham described it, “with a British accent.” He had come from a poor family, herding goats as a boy. His father, of the Luo tribe, had been a domestic servant for the British colonials. Now Kenya was on the brink of gaining independence from Britain. Barack was determined to accomplish great things, both for himself and for his country. It was a great honor for a youth from his humble background to study at American schools and earn an advanced degree in economics. But he also had a heavy responsibility to his people, and he intended to return to Kenya and help lead the country into a brighter future. Ann Dunham was an eighteen-year-old freshman at the University of Hawaii in 1960 when she met Barack in a Russian class. A quiet but independent-minded girl, she had dark curly hair and dark eyebrows like her father’s. She read serious books about reforming society, and she eagerly spent hours in long, earnest discussions with her friends. Ann lived with her parents, Stanley and Madelyn Dunham, in a rambling house near the university campus. Stanley was a furniture salesman, while Madelyn worked for a bank. Both Stanley and Madelyn had grown up in Kansas, but after they married, they lived in several states before settling in Hawaii. When Ann first brought Barack home for dinner, her parents, especially Madelyn, were uneasy. They had never met anyone from Africa before. But Barack quickly won them over with his charm, and they were impressed with his brilliant mind and his confidence. However, the Dunhams were unpleasantly surprised in February 1961, when Ann and Barack eloped to the island of Maui and came back married. Stanley and Madelyn were disappointed that Ann, so bright and inquisitive of mind, was dropping out of college after only one semester. Madelyn also feared that the cultural differences between their American daughter and this African young man were too great. Barack refused to obey his father, and the Dunhams accepted their daughter’s choice. For two years Barack and Ann lived with their baby in a small white house near the university campus. Then in 1963, Barack graduated from the University of Hawaii and won a scholarship to study economics at Harvard University in Massachusetts. The scholarship didn’t allow enough money to bring Ann and their son with him, but Barack felt he couldn’t pass up the chance to study at such a prestigious university. In the end, he left Hawaii for Massachusetts by himself. Barack Sr. intended to eventually take his wife and son back to Kenya, after he had earned his PhD in economics. But Ann decided that this marriage would not work. Barack might love her and Barry, but his wife and son were not as important as his fierce ambition or his commitment to Kenya. Besides, it did matter to Ann, as Barack’s father had predicted, that Barack had a wife and children in Kenya. In January 1964, she filed for divorce. Barry’s mother and grandparents talked to him about his father, but they never criticized Barack Sr. to Barry. Ann especially must have felt pain and anger over the failed marriage, but she didn’t say anything to Barry about that. The worst thing she said about Barack Obama was that he was a terrible driver. Ann told Barry that he had a wonderful father—fiercely intelligent, with a deep baritone voice and a way of commanding people’s attention. She showed him pictures of Barack Sr., a dark-skinned man with glasses. She told him his father loved him very much. Although Barry wouldn’t realize it for many years, his mother was just as remarkable as his father. Her full name was Stanley Ann Dunham, because her father had wished for a son. Growing up, she didn’t like having a boy’s name, but feeling different from other children may have made her more independent as well. Once, when the Dunhams were living in Texas, Ann brought a black friend home to play. That would have been fine with Ann’s parents, but the neighborhood children taunted the girls with racial slurs, driving the black girl away. Even more disturbing, the adult townspeople blamed the incident on the Dunhams. Instead of scolding their own children, they advised the Dunhams not to let Ann associate with black playmates. When Ann was in the eighth grade, the family moved to Seattle, Washington. Stanley was offered a better job in a furniture store there, and they were all glad to leave Texas. Madelyn found a job in a bank. In 1956, the Dunhams bought a house on Mercer Island, near Seattle, so that Ann could attend the new high school there. Ann was an idealistic and curious girl, with a mind of her own. Some of her high school friends were surprised that she didn’t feel any need to fit in with other young people. She didn’t seem to have the usual interest in dating or eventually getting married and having children. What did interest Ann were current events and the controversial ideas set forth by her English and philosophy teachers. These teachers angered many in the community by questioning religion, the U.S. political system, and other parts of the American way of life. Some of the thought-provoking books they assigned were Vance Packard’s The Hidden Persuaders, about the power of advertising; George Orwell’s 1984, a novel about a grim future in which the countries of the world are always at war and the government controls citizens’ minds with lies and violence; and William Whyte’s The Organization Man, which described big American corporations as controlling every aspect of their employees’ lives. Ann and her friends had long discussions on such topics after school in coffee shops. She spent much of her free time reading. She was fascinated with other cultures, and she was idealistic about how people’s lives could be improved. Toward the end of her high school career, Ann applied to the University of Chicago and received early acceptance. The University of Chicago, with its reputation for intellectual excitement, in the middle of a big city, appealed to Ann’s sense of adventure. However, Stanley Dunham didn’t want his daughter living on her own, far away from home, at such a young age. After Ann’s graduation from high school, in 1960, Stanley heard that a new opportunity was opening up in the furniture business in Honolulu. Always ready for a new adventure and hopeful for a better life somewhere else, he decided to move the family to Hawaii. 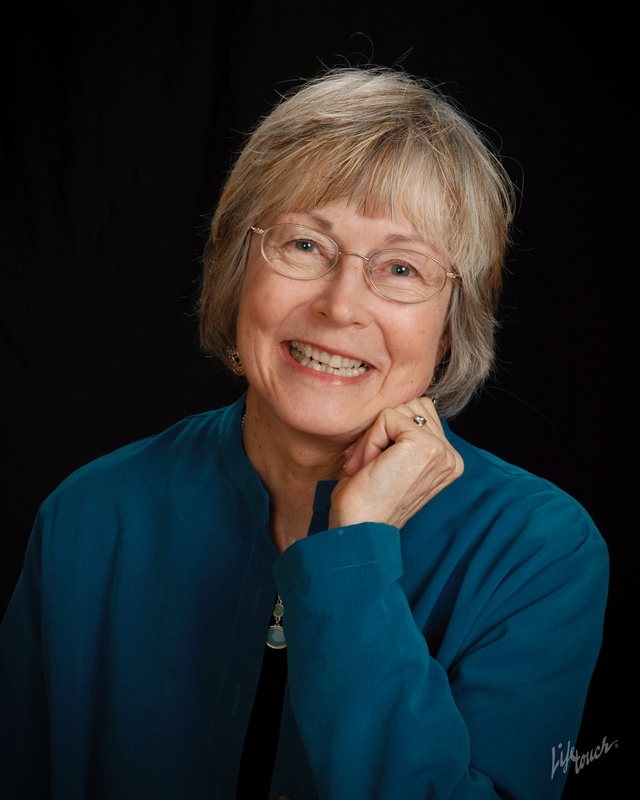 Ann resented her father for running her life, and she was reluctant to leave Seattle. But Hawaii wasn’t such a bad place to be: a land of warm, sandy beaches and transparent blue water, of steep rain forest–covered hills with waterfalls and ginger flowers. Also, in Hawaii, Ann encountered people with an interesting mix of backgrounds: Japanese, Filipino, Polynesian. Ann enrolled in the University of Hawaii to study anthropology. She soon fell in with a group of students who shared her interest in politics and world affairs. One of them—the one with the most forceful, confident opinions—was Barack Obama. After divorcing Barack in 1964, Ann went back to school at the University of Hawaii. She had no money, but she got by with food stamps and with her parents’ help. While Ann was in class, Barry’s grandparents took care of him. Ann soon met another foreign exchange student she liked very much, an Indonesian man named Lolo Soetoro. Indonesia, like Kenya, was a recently independent country. Lolo’s father and brother had both died in the struggle against the Dutch colonialists, and the Dutch army had burned their house. Lolo was proud of his country and wanted to contribute to building a better Indonesia. He planned to teach at the university when he returned to Jakarta, the capital city. Having a much more easygoing personality than Barack Sr., Lolo got along well with the Dunhams. He enjoyed tussling with young Barry and playing chess with Stanley. Lolo wanted to remain in Hawaii until he finished his studies, but Indonesia in the mid-1960s was a country in turmoil. President Sukarno had ruled Indonesia since the declaration of independence in 1945, but there was increasing unrest against his government. In 1965 the army led a violent anti-communist purge in which hundreds of thousands died. In 1966, Lolo was ordered back to Indonesia to serve in the army. He and Ann decided to marry before he left, with the plan that she and Barry would join him several months later. Stanley was excited for Ann and Barry, moving to a place more exotic than Hawaii, with tigers and monsoons. Madelyn was worried that the country might not be safe for them, because of the political upheaval. Ann and Barry needed to get shots and passports, since they’d never left the United States before. In 1967 they boarded a plane to fly first to Japan and then to Jakarta, Indonesia, about a third of the way around the globe from Hawaii.